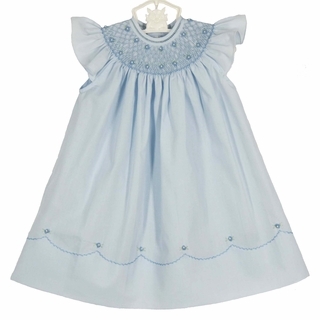 This lovely little blue cotton blend smocked dress is made by Feltman Brothers, a top designer of quality baby garments. 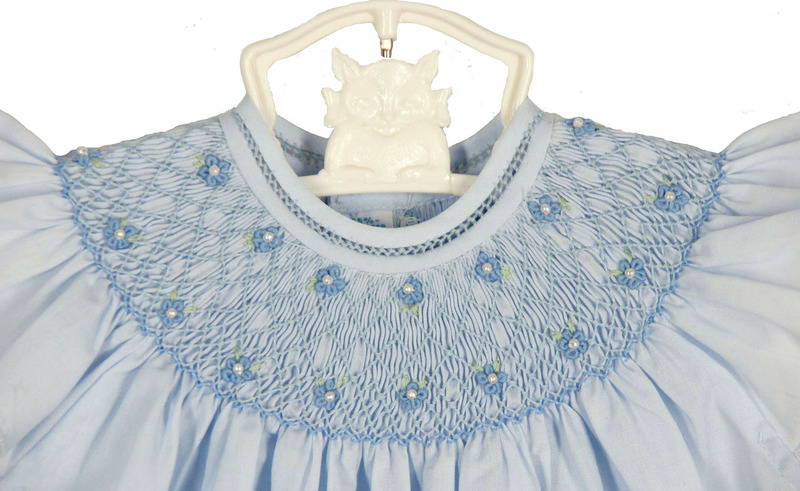 It features a bishop smocked yoke embroidered with delicate blue flowers centered with seed pearls. 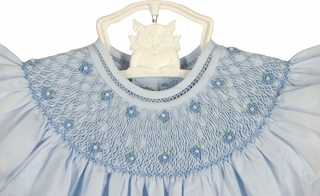 This classic dress has a fagoted neckline and angel sleeves. 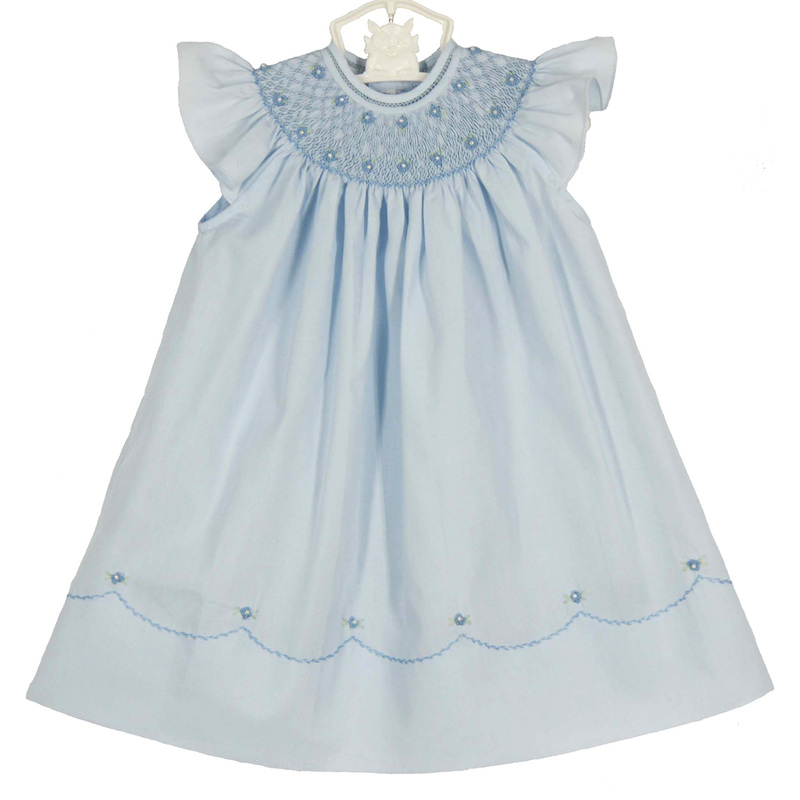 The dress is finished with a deep scalloped hem topped by embroidered blue flowers with pearl centers. It has a buttoned back closure.